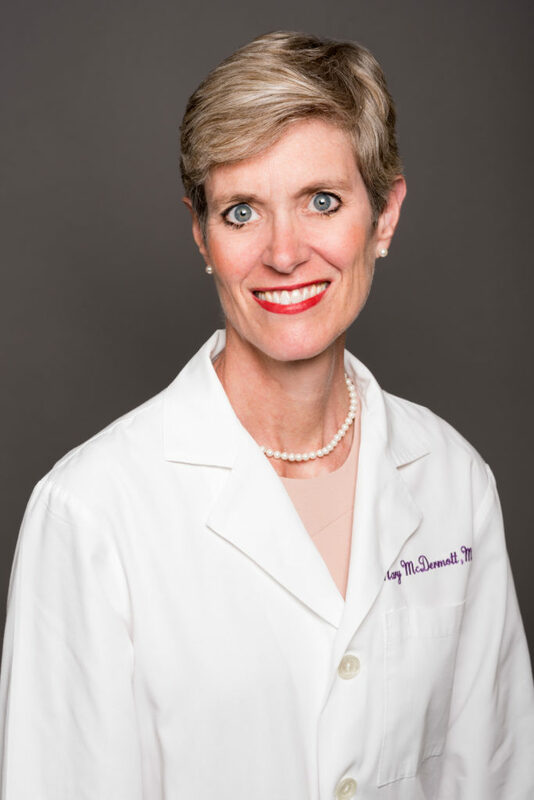 Mary McDermott, MD, ’92 GME, the Jeremiah Stamler Professor of Medicine, led a clinical trial at Northwestern Medicine evaluating the effect of a stem cell therapy, alone or combined with exercise, on improving walking performance in patients with peripheral artery disease. A stem cell therapy did not improve walking ability in people with peripheral artery disease, although exercise did lead to significant improvements, according to the results of a new Northwestern Medicine clinical trial. The study, published in the Journal of the American Medical Association (JAMA), was led by Mary McDermott, MD, ’92 GME, the Jeremiah Stamler Professor of Medicine in the Division of General Internal Medicine and Geriatrics and of Preventive Medicine. Peripheral artery disease (PAD), which affects up to 20 percent of people older than 60, is a condition in which atherosclerotic blockages in the legs lead to pain or weaknesses when walking. There are currently few effective therapies to prevent mobility loss in people with PAD, although previous studies led by McDermott have demonstrated that certain exercise interventions can improve walking ability. In the current study, the investigators evaluated whether a stem-cell based therapy called granulocyte-macrophage colony-stimulating factor (GM-CSF), when administrated alone or combined with exercise, would lead to increased distance walked over six minutes. GM-CSF is a drug designed to increase circulating stem cells in the blood, which had potential for improving walking performance in people with PAD, according to McDermott. Investigators had also hypothesized that combining the therapy with exercise would further increase the drug’s effectiveness. The team randomized 210 participants with PAD to one of four groups: GM-CSF with exercise, GM-CSF alone, exercise alone (with placebo), or a control that received no active therapies. The exercise consisted of supervised treadmill exercises completed three times weekly for six months. The GM-CSF and the placebo were administered via injection three times a week for the first two weeks of the intervention. The trial showed that at 12 weeks after the intervention, the drug therapy had not led to improved walking performance, either alone or combined with exercise. Still, the data showed that exercise significantly improved patients’ six-minute walking distance, as compared to the control. McDermott is currently a senior editor of JAMA. The study was funded by the National Heart, Lung, and Blood Institute (NHLBI) (R01-HL107510) and the National Institute on Aging. The material reported in the study is in part the result of work supported with resources and the use of facilities at the Jesse Brown VA Medical Center in Chicago, Illinois.